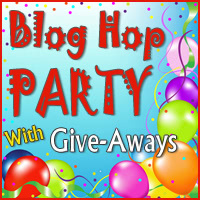 The winner of this giveaway is Angie at http://threadcatcher.blogspot.com. She has been emailed. For today's giveaway we are giving away 6 fat quarters. 1. Leave a comment with where you find the best deals on fabric, online. LQS, big box stores. Optional, for those who like to jump through hoops, you can earn up to 3 more entries. 2. Favorite an item in our Etsy Shop and comment that you did. 3. Follow us on Craftsy and comment that you did. 4. Like us on Facebook and comment that you did. This is open internationally. This contest ends on November 26th at midnight. We will draw a winner with random.org and email a winner, please make sure you are not a no reply blogger, or we will have to chose another winner. We will post winner on blog also. 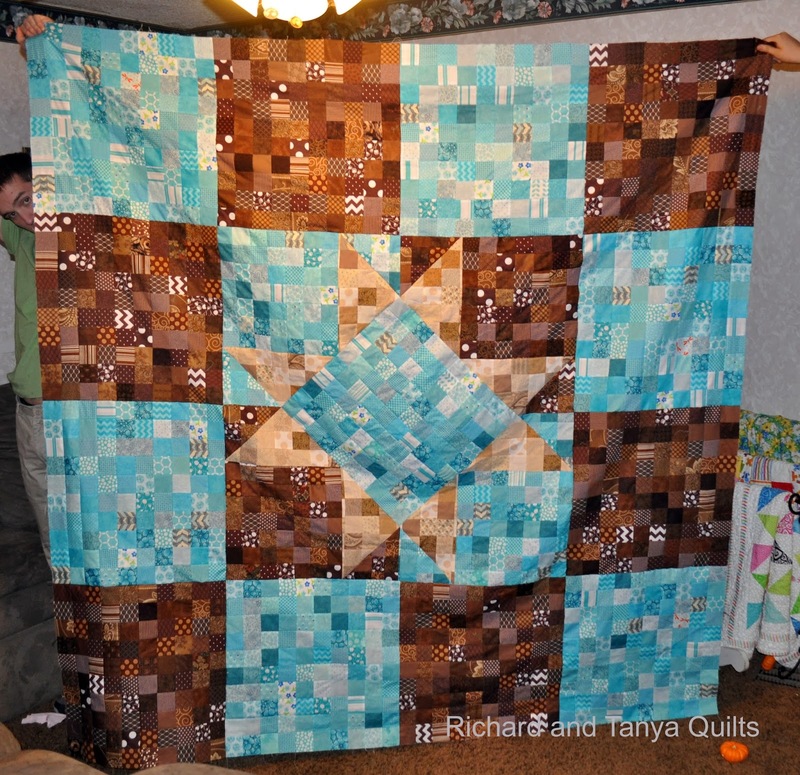 Here is the second chevron quilt. It is out of Ticklish by Me and My Sisters. 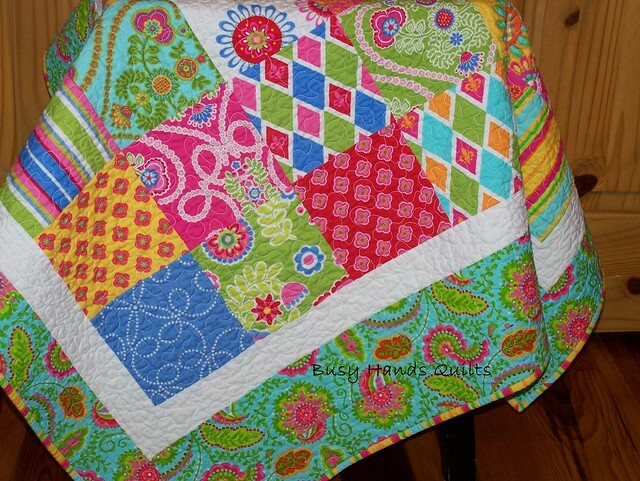 One of the things I like is scrappy styled quilts. 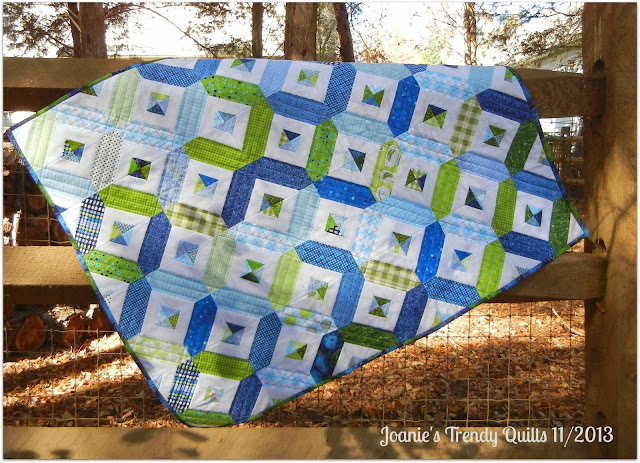 It can be the 2 1/2 inch random blocks or as this quilt is random colors to make a chevron pattern. I love the modern concept but, don't pull it off well most of the time. 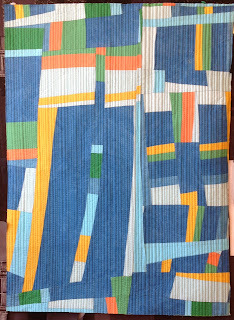 One thing I really like to look for and often am disappointed in quilts is the back. I like to see how people tie it into the front. For the backs of my Chevron quilts I wanted to have a single chevron off at a angle and I just love how it turned out. 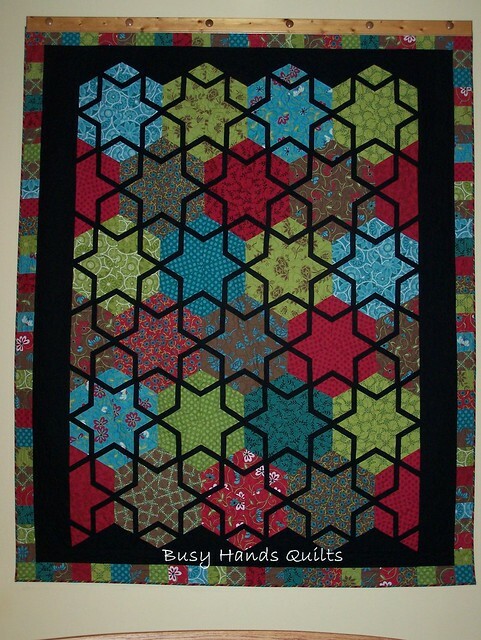 This quilt is based off our chevron quilt pattern you can find it on either our etsy store or our craftsy store. 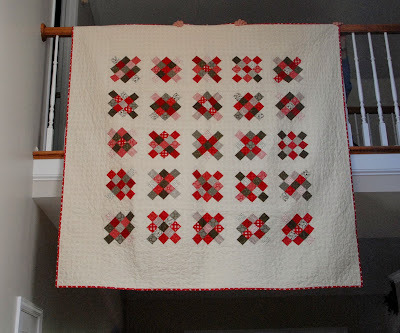 Today I would like to share my newest quilt and pattern. 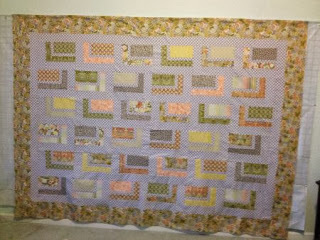 It is a Chevron Baby Quilt that measures 40 inch x 40 inch. It is out of a fabric line called Bungle Jungle. 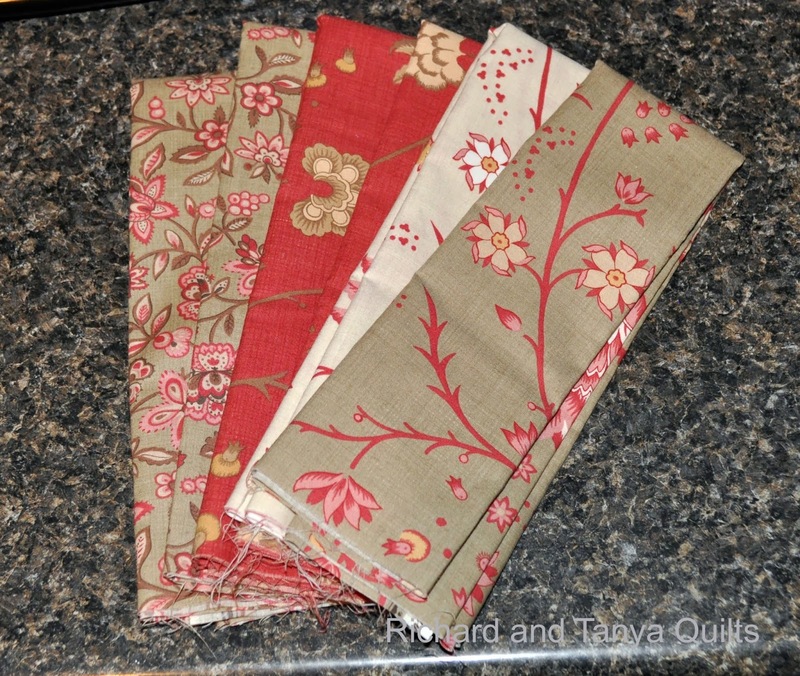 Three weeks or so Tanya and I decided we wanted to create 3 new patterns for our Craftsy Pattern Store. Tanya wanted them to be HST Quilts. This is the first of the 3. But like all projects we start we cant be simple. We are making 3 patterns x 3 quilts each. So will in the end have 9 quilts. All fabric is cut out and they are in various stages of delivery. This is the first. Like all of my patterns of Craftsy if you go visit Craftsy and either on one of my projects or one of my patterns make a nice comment about them and then come back here and let me know you did so I will email you for free the pattern. 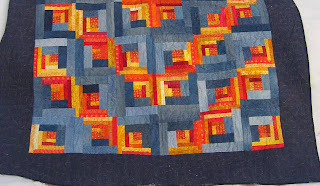 There is a link at the top of my blog to the Craftsy store where you can see the pattern. Maybe we haven't fallen off the face of the earth, but it might seem like it because we haven't blogged much. Our sewing area is now in the laundry room area/unfinished basement area of the house. Our washing machine died last week, so everything was stacked in way of sewing table/desk waiting for the washer to be fixed Good news, the washer has been repaired by Tanya We were able to wash and dry 3 loads of laundry Friday evening, before the dryer broke. It was tore apart by Tanya, and more lint than one could imagine was vacuumed out, parts are now on order. We pushed it back in place, a dryer doesn't leak. We actually got a little sewing done this weekend, so look for a few posts in the next week. 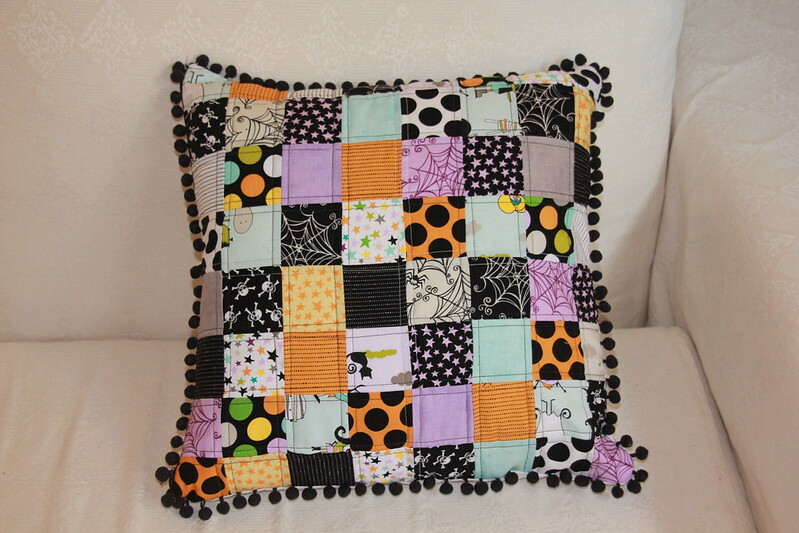 Lately, Tanya has started making some rag pillows. Three have been added to our etsy store and more are planned. We are going to make these for Christmas gifts for nephews and niece. Our list is shorter this year due to Tanya's Dad getting a divorce. My quilt for my bed is getting bigger and closer to being finished.